عندما تزور هذه المدينة رائعة الجمال، ستشعر أنك في بيتك في Armadale Cottage Bed & Breakfast الذي يقدم لك إقامة متميزة و خدمات عظيمة. يمكن من هنا للضيوف الاستمتاع بسهولة الوصول إلى كل ما تقدمه هذه المدينة النابضة بالحياة. إن سهولة الوصول من الفندق إلى المعالم السياحية الشهيرة الكثيرة في المدينة هو استثنائي بحد ذاته. يقدم Armadale Cottage Bed & Breakfast خدمات لا غبار عليها وكل أشكال اللياقة وحسن الضيافة اللازمة لإسعاد ضيوفه. يمكن لضيوف الفندق الاستمتاع بالميزات التالية على أرض الفندق: واي فاي مجاني في جميع الغرف, خدمة التنظيف يوميًا, مجهز لذوي الإحتياجات الخاصة, مرافق مخصصة لذوي الاحتياجات الخاصة, تخزين الأمتعة. 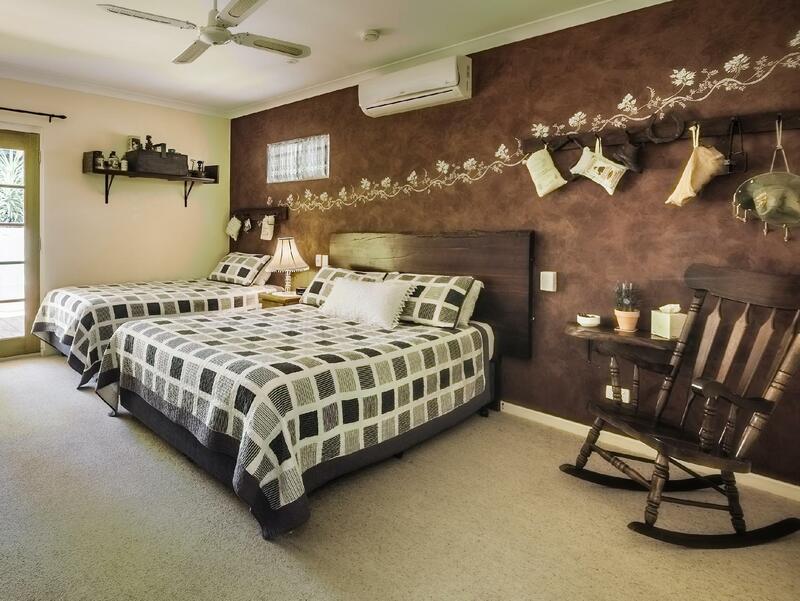 في Armadale Cottage Bed & Breakfast غرف نوم يزيد عددها عن 5 صممت بذوق وعناية لتوفر لك كل وسائل الراحة . بعضها يحتوي أيضاً على تلفزيون بشاشة مسطحة, مدخل خاص, اتصال لاسلكي بالإنترنت, غرف لغير المدخنين, مكيف هواء. سواء كنت من محبي الرياضة أو كنت تتطلع لتفريغ عناء نهار صعب، ستجد خدمات ذات مستوى عالي بانتظارك كمثل حديقة. إن Armadale Cottage Bed & Breakfast هو مكان مثالي للمسافرين الذين يتطلعون إلى الراحة والاستجمام في المدينة. B&B with everything you need and more. Peaceful, spacious and immaculate. Breakfast scrumptious. Manager, who incidentally is a chef, is absolutely passionate about the place and the comfort of the guests. You won't be disappointed. 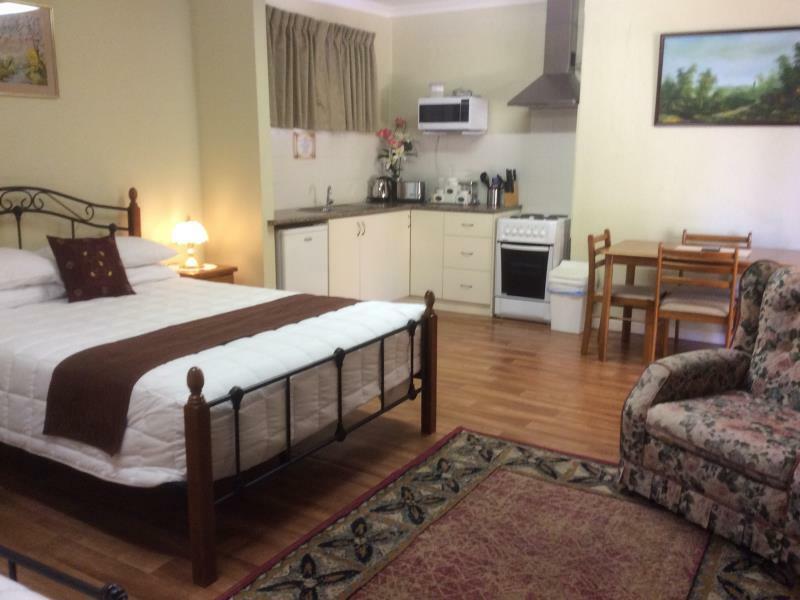 We booked this B&B thinking that it was near to Perth and Fremantle. It turned out that it is located in Armadale (duh), and we needed about 40 minute drive to Perth City Centre, without traffic. However, nearby the hotel there were supermarkets and shopping centres so we could buy necessities easily. The B&B itself is really lovely. The room we stayed in was large, clean and comfortable. The garden is beautiful and it has a swimming pool (alhtough I don't think it is open for guests). The room has vintage decoration. The staff was friendly and welcoming. The breakfast was standard cereal and toast, we did not opt for cooked breakfast. Overall a lovely place (we came back and stayed there again), but note the distance to Perth and Fremantle if that is important. Fantastic stay. Was assigned to the Outback room but due to some miscommunication, the owner (Ruth) upgraded us to the Family Room which has it own cooking facilities. Was a good pit stop to break up our long drive in WA. Ruth is a amazing lady who never fails to make our stay comfortable and at home. Easy access to airport, A great breakfast and comfortable rooms. Our general experience was excellent. Accommodation was easy to find from the airport. Ruth is a fantastic host with great advice when asked. Rooms are nice and airy and give you a cosy feel to it. Bed was very comfortable and sleeping was not an issue. Breakfast was fantastic and there was plenty of choice to be had. Internet was also quick and easily accessed. In general well recommended and if we travel again to perth we will certainly use this accommodation again. We really enjoyed our short stay in this property. 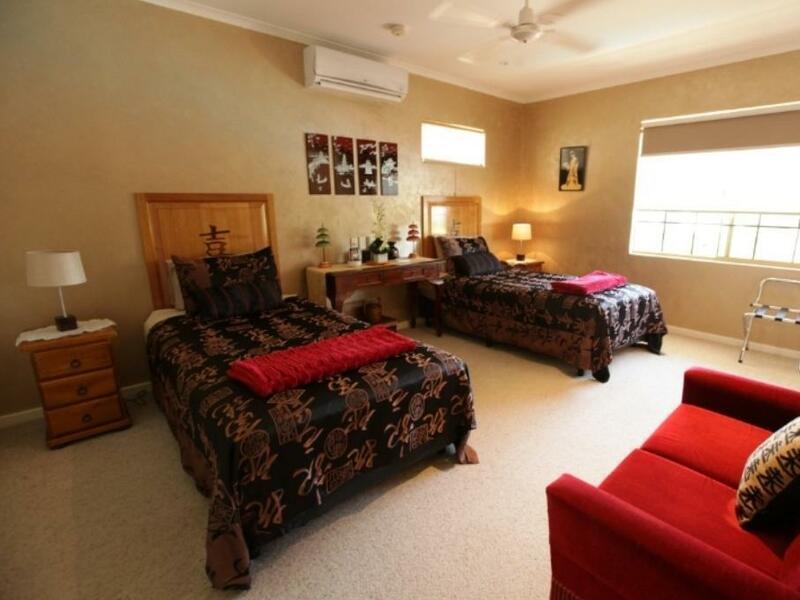 Rooms are very nicely appointment and the atmosphere is very nicely laid back and old-fashioned in the same time. Highly recommended. Comfortable room, good sleep, great breakfast. 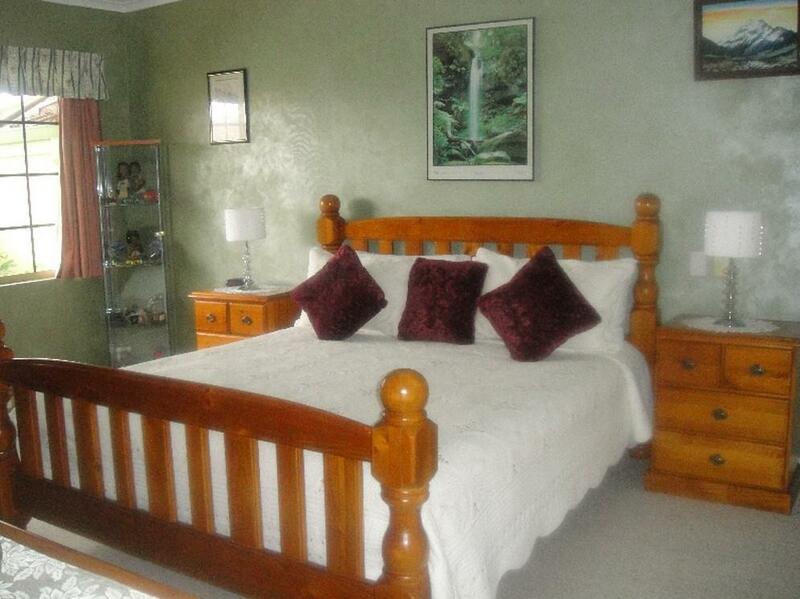 A friendly, comfortable place to stay, serving an excellent breakfast included in the cost of accommodation. 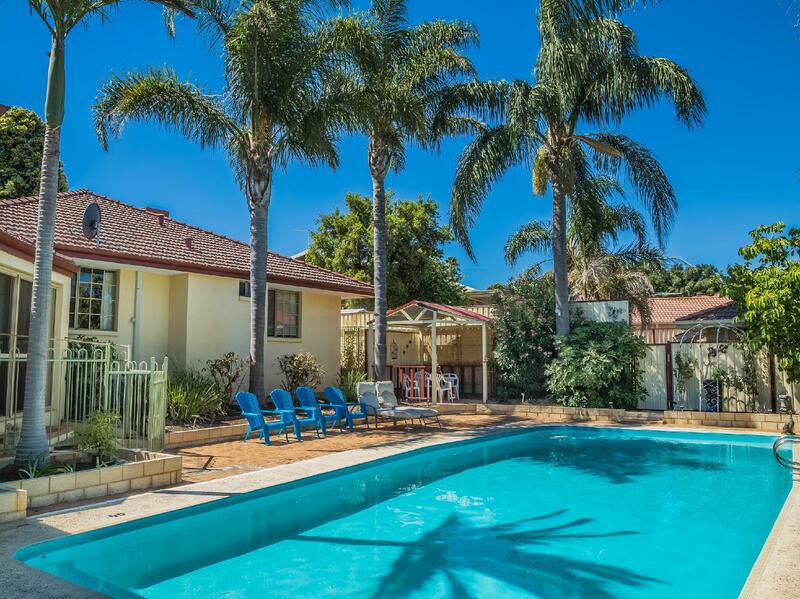 Close to Perth, Fremantle and airport. This is an excellent hotel/B&B run by a meticulous host who is attentive to every detail. Great value for money. not enough parking, had to park behind owner's car. THere was power shortage when i arrived, no power back up, only candles ! However, that was not a problem with this accomodation only, but with the whole suburb.. Also quite busy road, noisy. 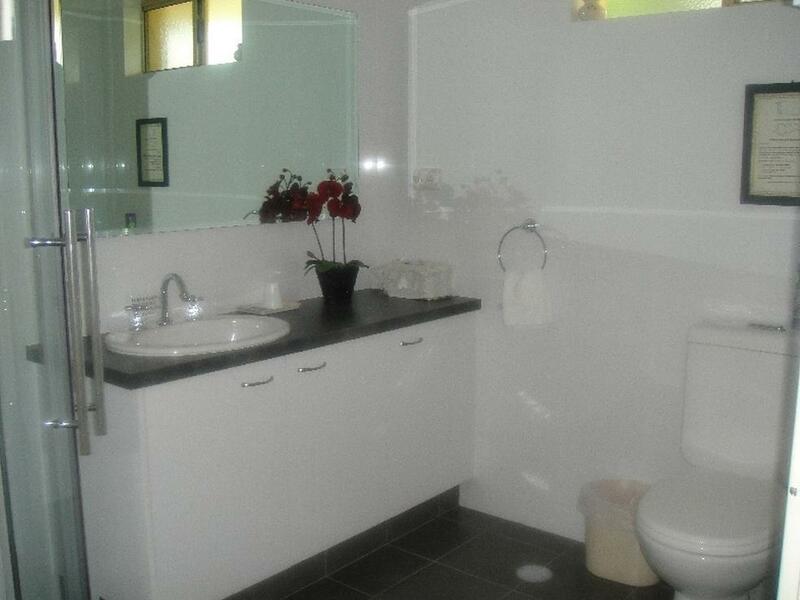 No serivices around, just accomodation.Price very acceptable. Great value for the money. The owner Ruth will take very good care of you. Highly recommended and very close to Supermarket and good places to eat. This is my second stay in this hotel, very friendly owner with great customer service, the whole hotel's bathroom just had a upgrade and the hot water system is really good. A lot of varieties of breakfast to choice from, reasonable hotel rate. Will stay here for sure if come for business again. Same comments as I booked this room for my boss This is my second stay in this hotel, very friendly owner with great customer service, the whole hotel's bathroom just had a upgrade and the hot water system is really good. A lot of varieties of breakfast to choice from, reasonable hotel rate. Will stay here for sure if come for business again. Very comfortable room. Lovely surrounds. Great breakfast. I stayed here with my 17yr old daughter & her friend. The room was very clean & decor lovely throughout. Tea, coffee, biscuits, filtered water all readily available...breakfast was delightful & owner very pleasant. Handy to train station & main road into Perth. Will definitely be back.